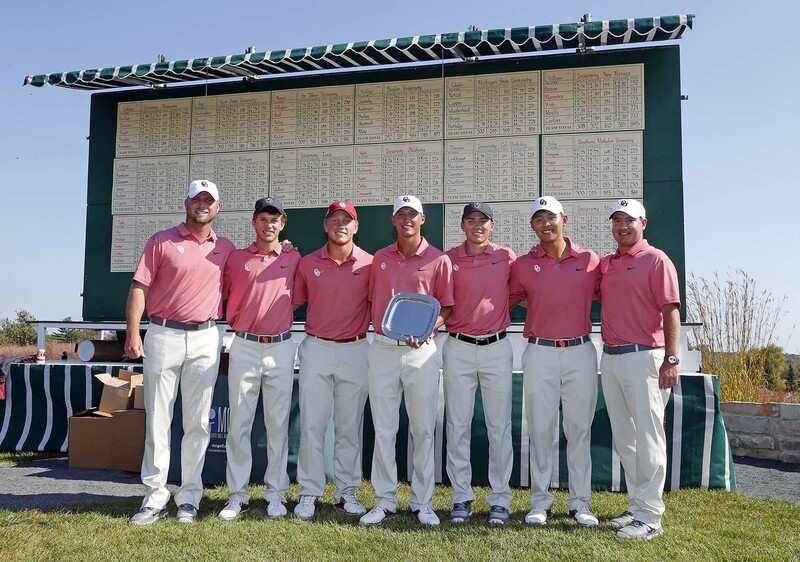 Arkansas won the Gophers’ home tournament with a 4-under-par team score of 848, tied for the lowest in tournament history and 10 strokes lower than second-place Baylor. 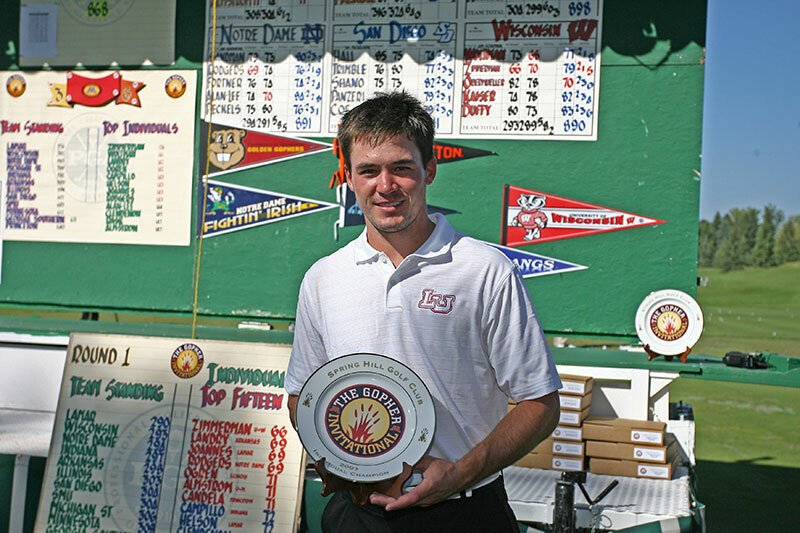 Kent State’s Ian Holt posted the second-lowest medalist score in tournament history with a 10-under 203 to win. He was three shots ahead of Arkansas’ Mason Overstreet. Oklahoma won the team competition for the second year in a row. The Sooners’ team score of 860 (+8) was five strokes better than San Diego State’s. 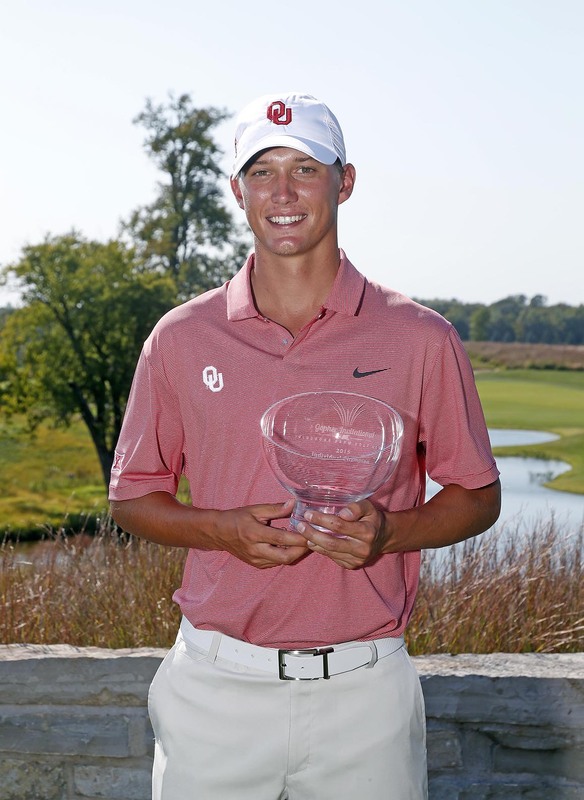 Once again Oklahoma also boasted the tournament medalist, as Grant Hirschman (-3) beat Michigan State’s Sam Weatherhead by a stroke. The Spartans’ Dylan Deogum took third. 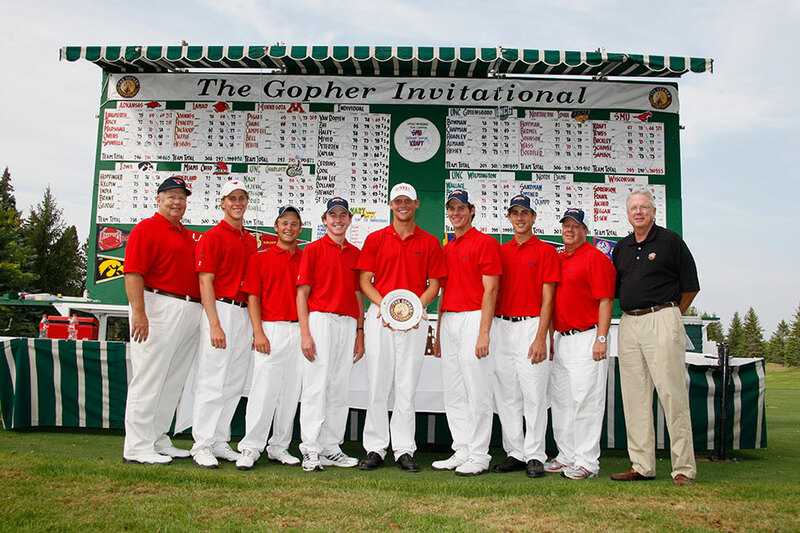 Oklahoma won the 11th annual Gopher Invitational with a team score of 854 (+2). 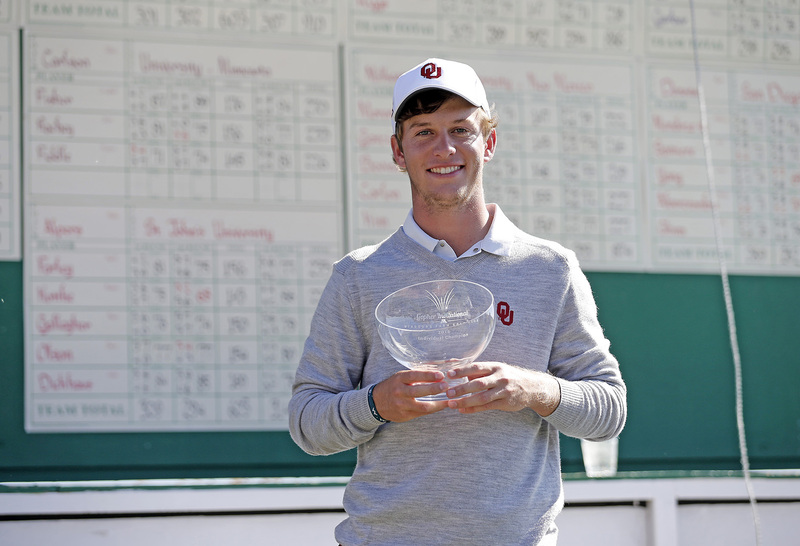 The Sooners swept top honors as Max McGreevy was the medalist (-7) and Luke Kwon (-4) was the runner-up. California finished 21 shots behind Oklahoma in second. 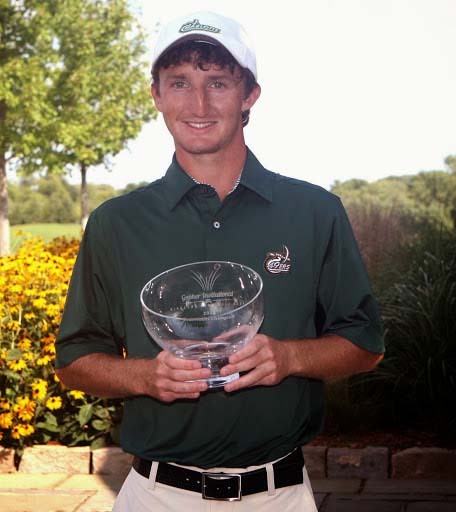 2014 team champion Baylor finished tied for third with Kent State, and 2014 medalist Victor Wiggins of Charlotte tied for 14th. Baylor (+10) entered the last round with a 10-shot lead and won the tournament by 16 strokes over second-place California. Victor Wiggins (-5) of Charlotte held his Day 1 lead to capture medalist honors by four strokes over Green. 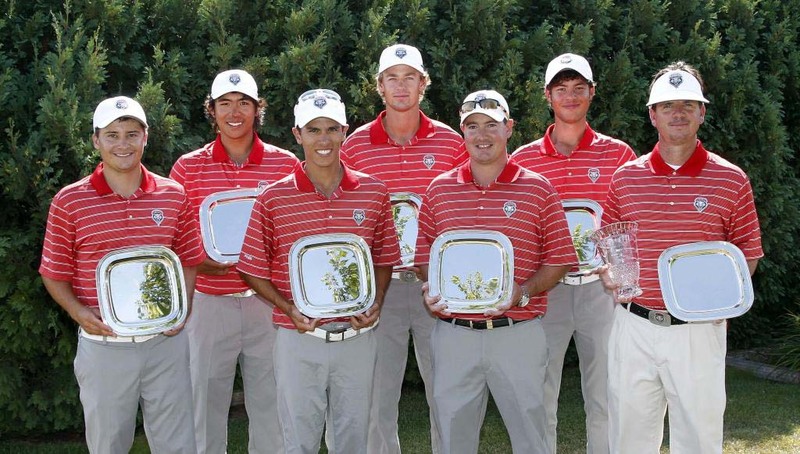 New Mexico won the tournament with a 4-under combined score of 848. Minnesota and Iowa State tied at 13-over. 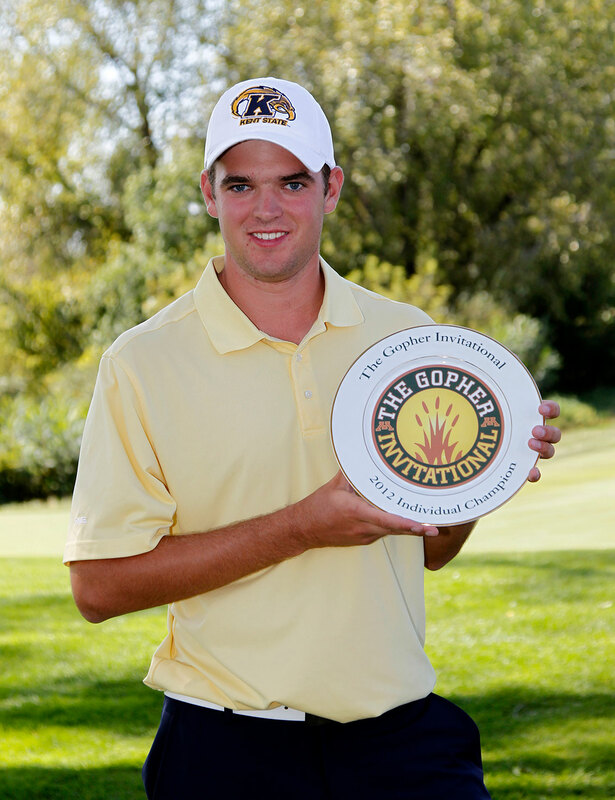 Kent State’s Corey Conners won medalist honors for the second year in a row, finishing at 7-under in 54 holes. 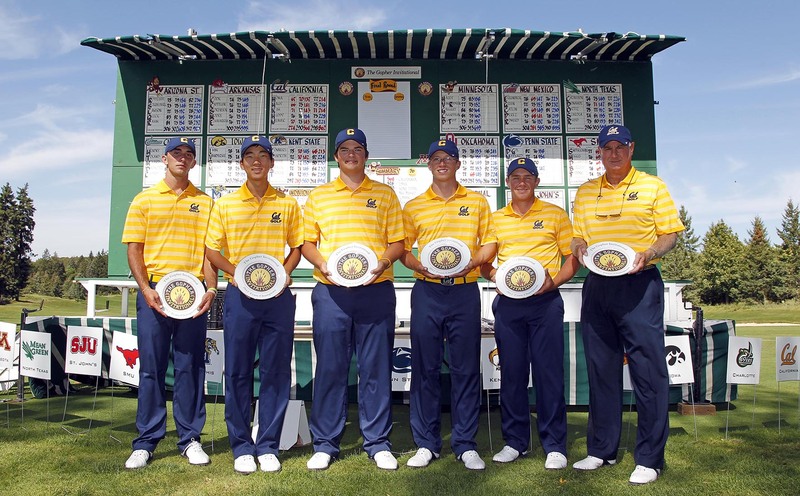 The California Golden Bears lead wire-to-wire to claim team honors by 14 strokes over second place Southern Methodist. 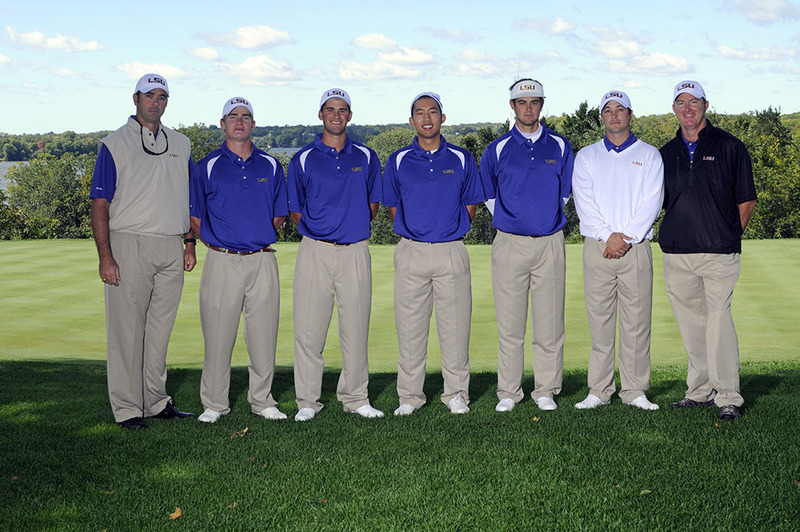 Cal was the only team to finish under-par with a 54-hole score of 862 (-2). 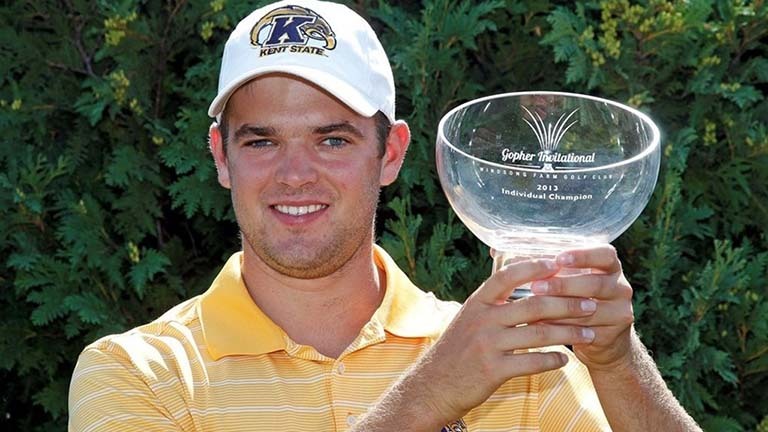 Kent State’s Corey Conners carded the round of the day with a four-under par 68 to take medalist honors by one stroke over the Cal duo of Max Homa and Michael Kim. Conners, one of only four players to score under par in what was a blustery final round, began the day in a tie for seventh place. 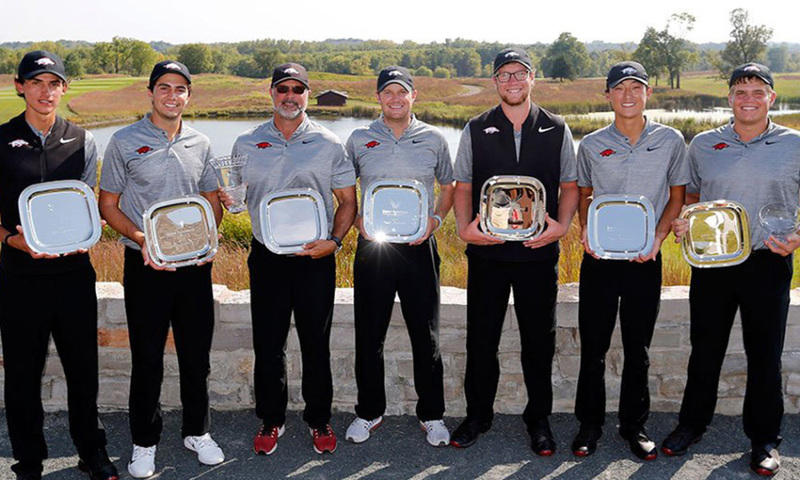 The University of Arkansas overcame a four-shot deficit to win its first Gopher Invitational team title with a 54-hole combined score of 880 (+16). The Razorbacks, playing in their fifth-straight Gopher Invitational, were led by Ethan Tracy’s fifth place individual finish. North Texas started the day in a tie for third place but was able to surpass Notre Dame late in the day to finish second, three shots behind Arkansas. The Irish finished third followed by SMU and Charlotte. 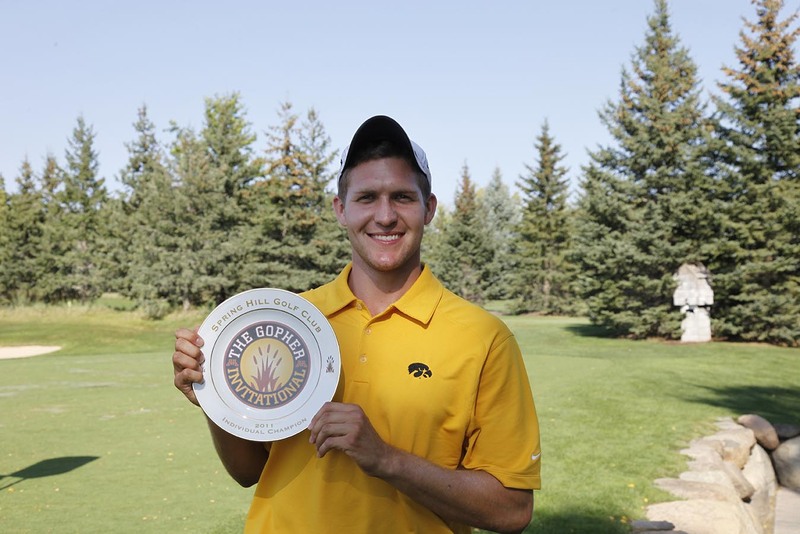 The Iowa Hawkeyes finished just outside the top five as a team but managed to place first and second on the individual leaderboard. Chris Brant fired the low round of the day to move up six spots and claim medalist honors by one stroke over his teammate Barrett Kelpin and Lamar’s Kevin Hesbois. 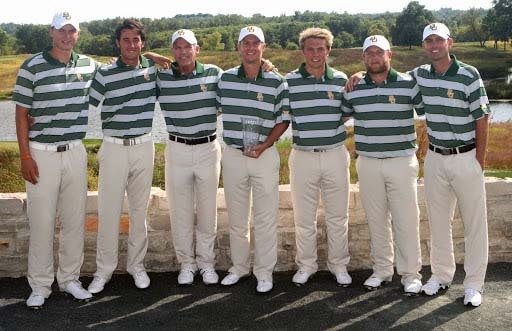 Louisiana State, also the Gopher Invitational team champion in 2008, became the first repeat winner in the history of the event by shooting a 54-hole score of 869 (301-281-287) to defeat Kent State by 11 strokes. Arkansas (889) finished third by one stroke over Charlotte (890) and three shots over fifth place Lamar (892). 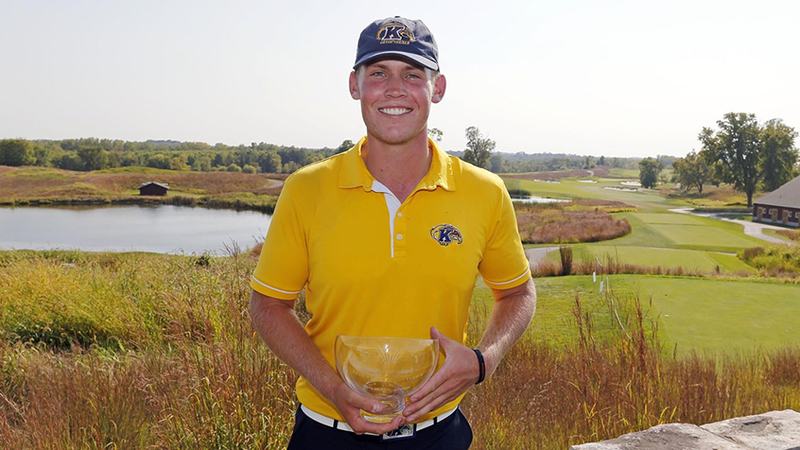 Kent State’s John Hahn took home medalist honors with a 54-hole score of 206 to win by six strokes over Arkansas’ Sebastian Cappelen. 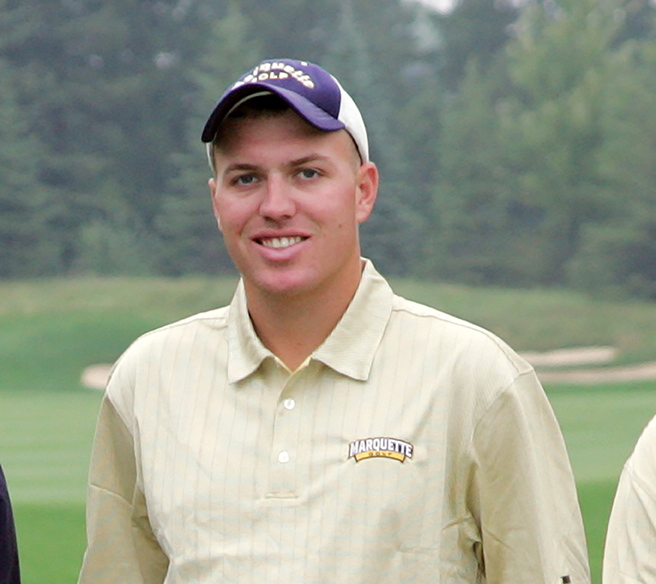 LSU’s Clayton Rotz carded a third round 66, the lowest round of the invite, to finish third. The leaderboard changed often Monday in the final round of the fifth annual Gopher Invitational at Spring Hill Golf Club in Wayzata, Minn. but SMU proved too strong and pulled away late. The Mustangs, thanks to a course record 64 by Kelly Kraft, finished with a Gopher Invitational record score of 9-under par 855 to win by 10 strokes over the Arkansas Razorbacks. 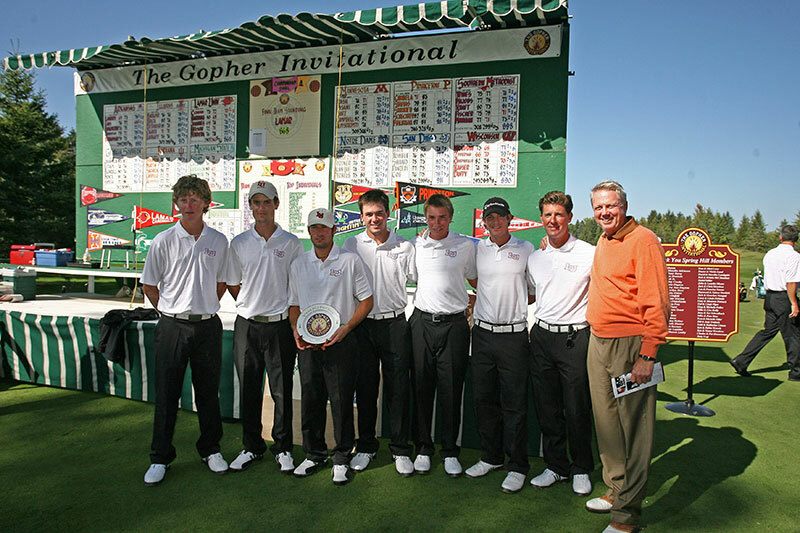 The Gophers finished third, three shots ahead of fourth place North Carolina-Charlotte. 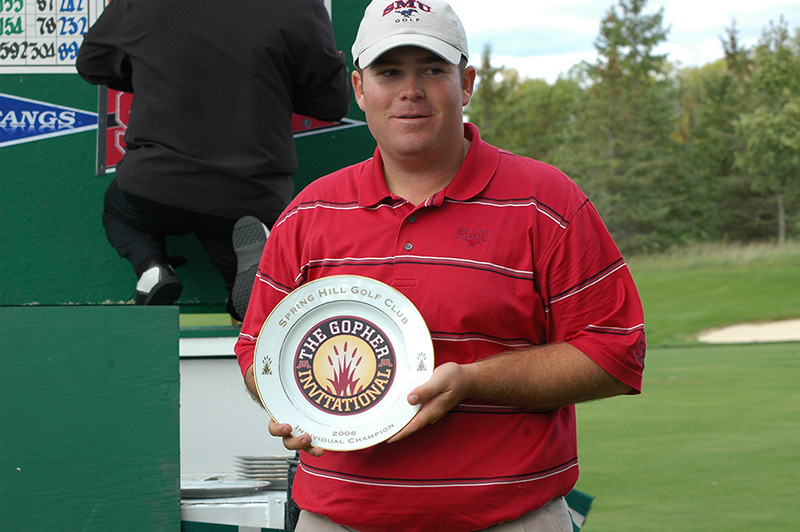 Kraft finished with a tournament record score of 15-under par 201 to take home medalist honors. 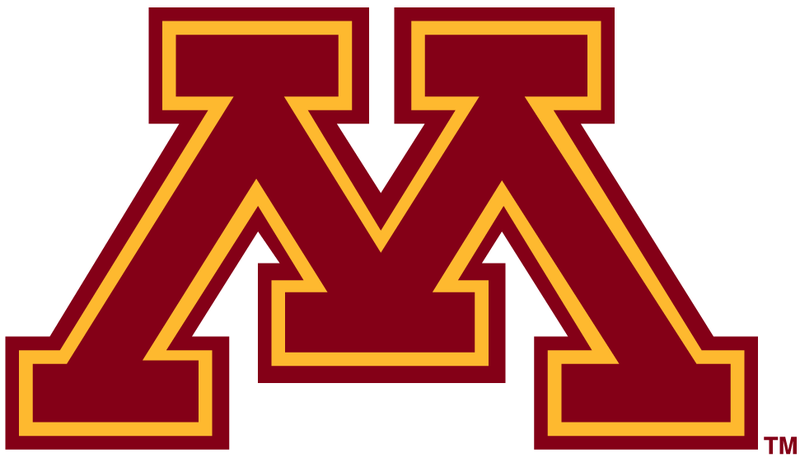 The University of Minnesota men’s golf team tied for sixth place at the fourth annual Gopher Invitational at Spring Hill Golf Club in Wayzata. 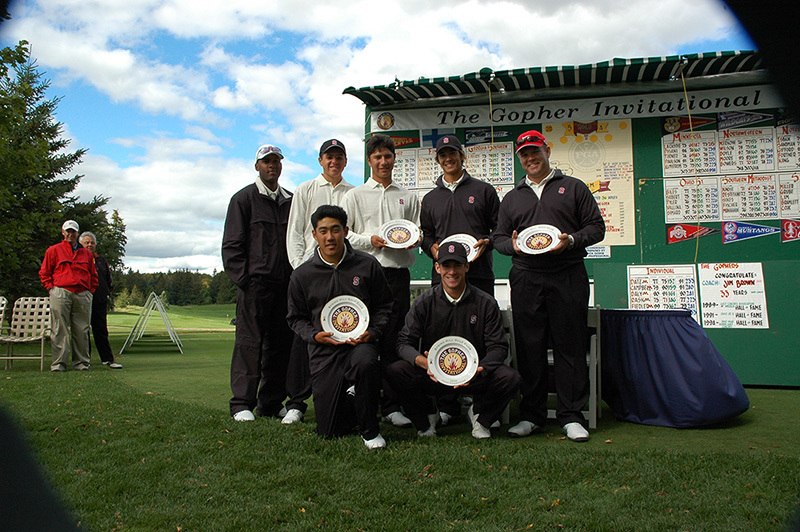 The Gophers shot their top score of the event, a 6-over 294, in the final round. 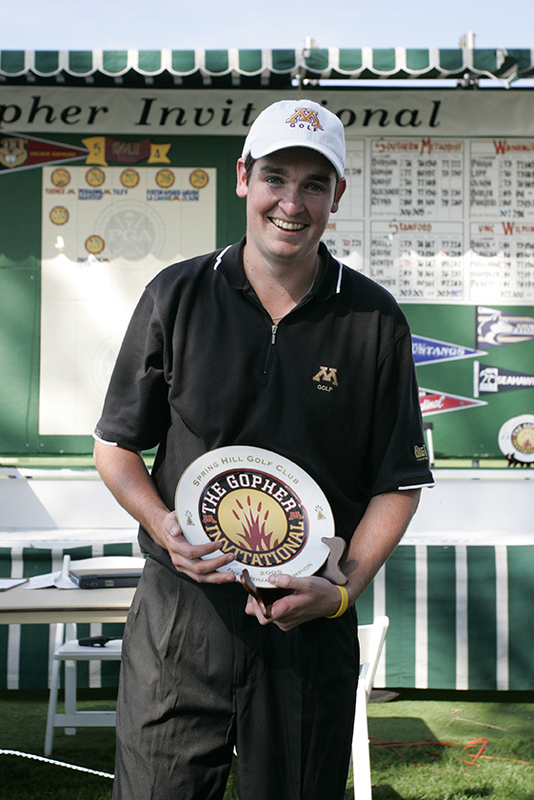 Junior Ben Pisani led the Gophers, tying for eighth place with a 3-over 219. He shot three consecutive 1-over scores of 73 during the 54-hole event. Texas and LSU tied for the team championship with scores of 872 (+8). The Longhorns were awarded the championship trophy by tiebreaker, which was determined by the cumulative score of the fifth-place finisher of each team. 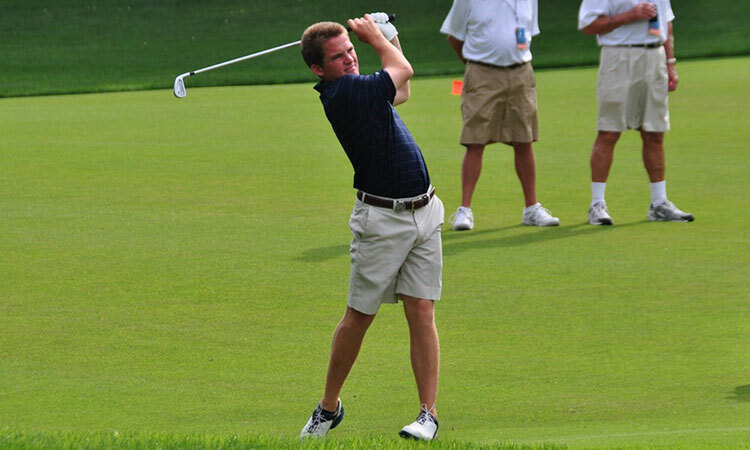 Marquette’s Mike Van Sickle fired an even-par 72 in the final round to claim individual medalist honors by two shots over Texas’ Charlie Holland, Arkansas’ David Lingmerth and Iowa’s Cole Peevler. The University of Minnesota men’s golf team finished eighth in the Gopher Invitational at Spring Hill Golf Club in Wayzata, Minn. 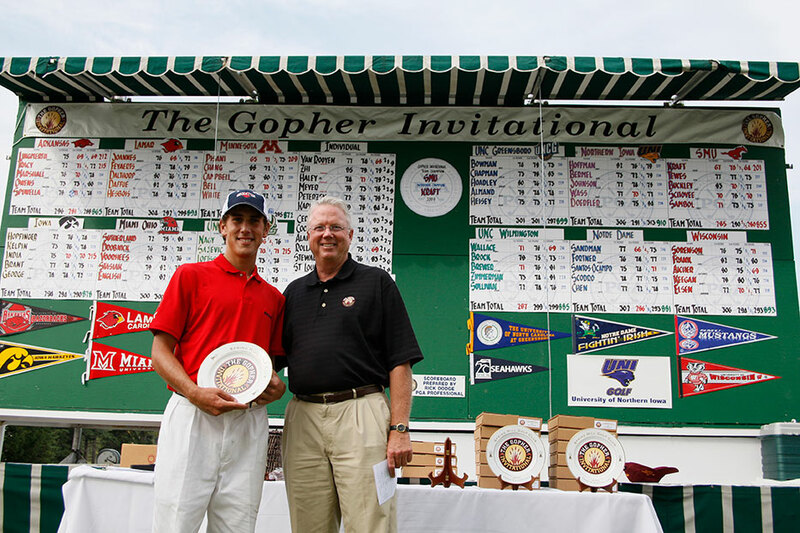 The Gophers fired a final round 297 and finished 41 shots behind tournament titleist Lamar. 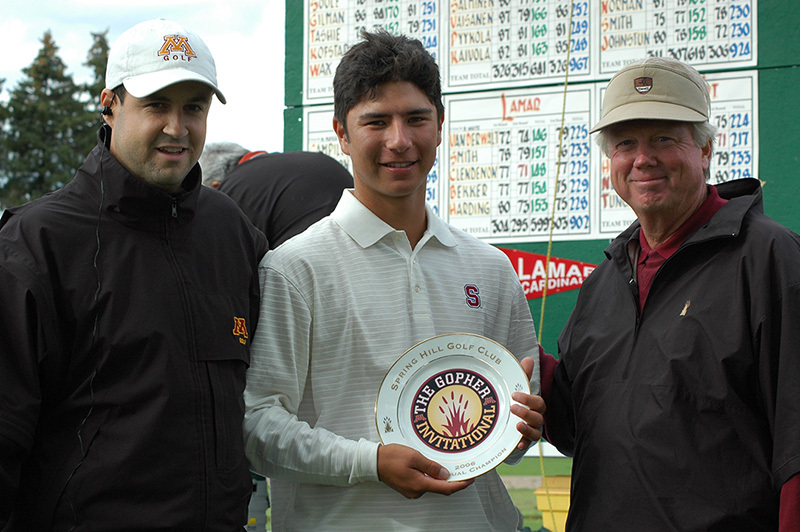 Lamar’s final score of 4-over 868 was a Gopher Invitational record. The Cardinals finished a comfortable 22 shots ahead of second place Arkansas and Wisconsin. 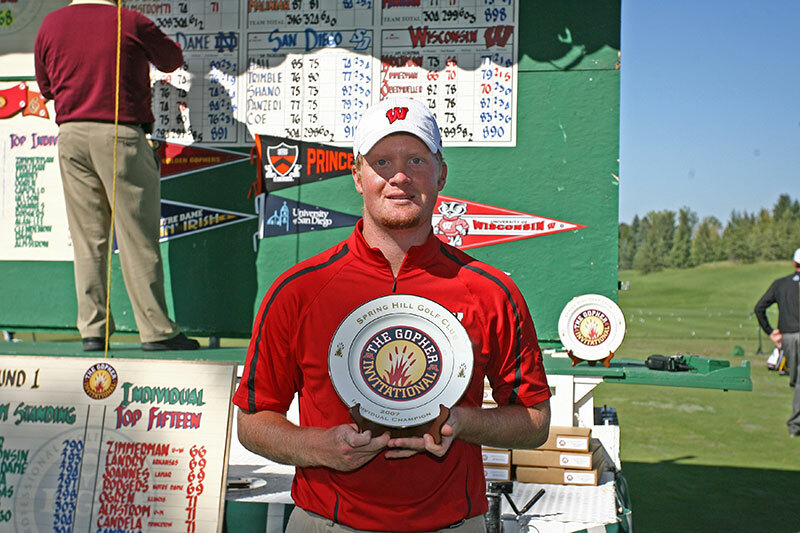 The individual title was shared by Lamar’s Casey Clendenon, who fired a final round 2-under 70 and Wisconsin’s Danny Zimmerman at 1-under-par 215. 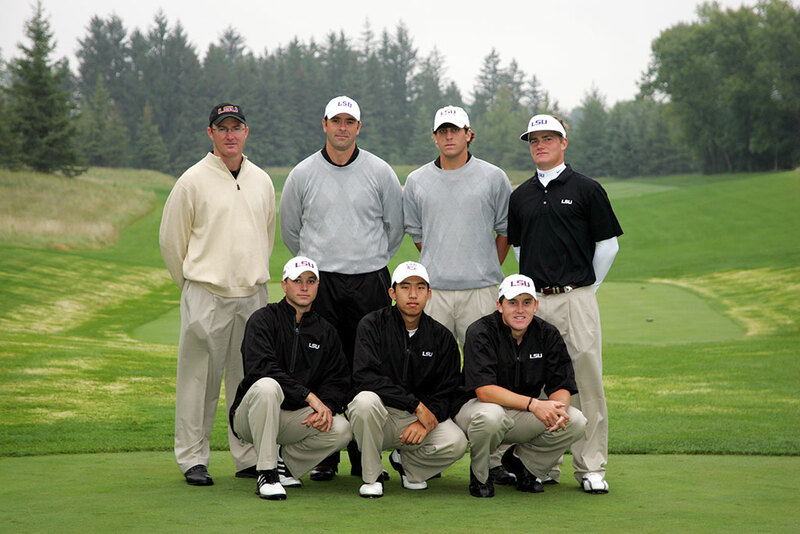 The University of Minnesota men’s golf team finished second to Stanford at the second annual Gopher Invitational at Spring Hill Golf Club in Wayzata, Minn. The Cardinal fired a final round 297 despite windy and cold conditions to win head coach Conrad Ray’s first tournament as a collegiate coach. 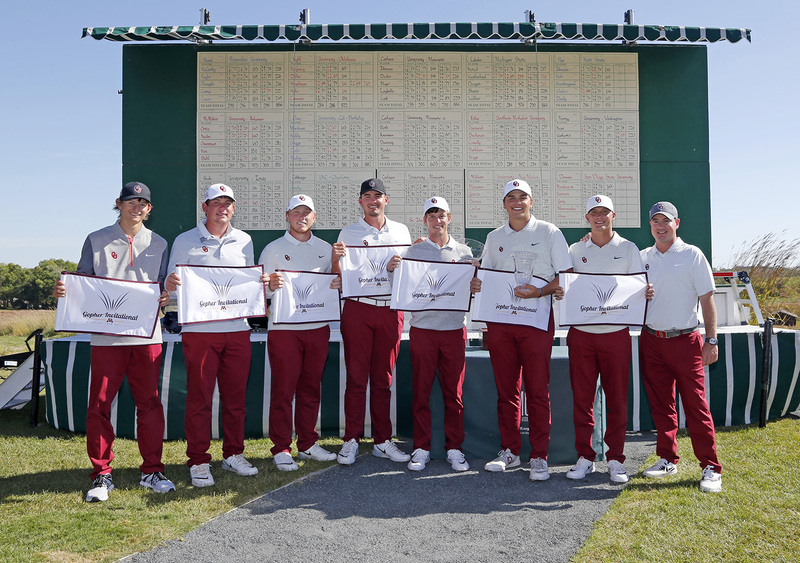 Stanford edged the Gophers by five shots and SMU by seven for the title. 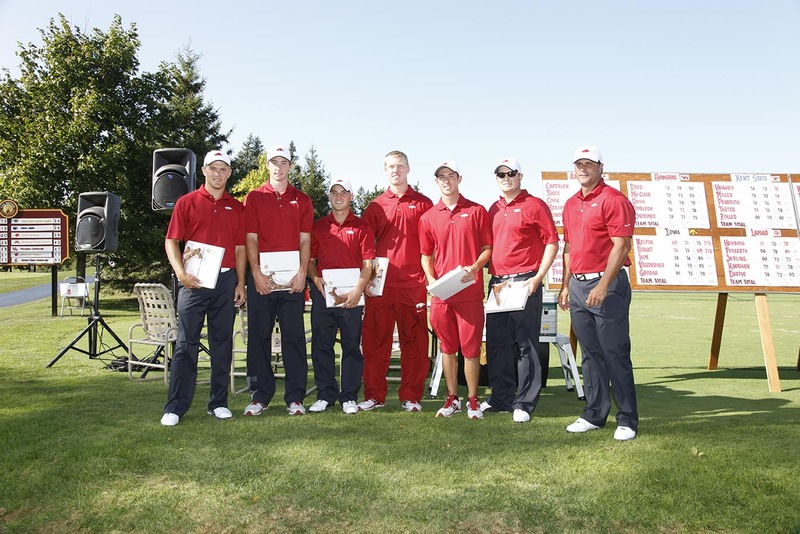 Zack Miller of Stanford and Colt Knost of SMU shared medalist honors at 2-under-par 214. Miller made up four shots in the final round on Knost with an even par 72. Gopher senior Bronson La’Cassie finished a shot back in third. The University of Minnesota won the inaugural Gopher Invitational at Spring Hill Golf Club in Wayzata, Minn. Not only did they capture the team title by a tiebreaker over the Washington Huskies, but junior Niall Turner won the individual title by one stroke, firing a 1-under-par 215 for the weekend.